In order to beautiful,now more and more colorful bird house in the market.also their use environmental protection painting.but we still worry bout our bird healthy. 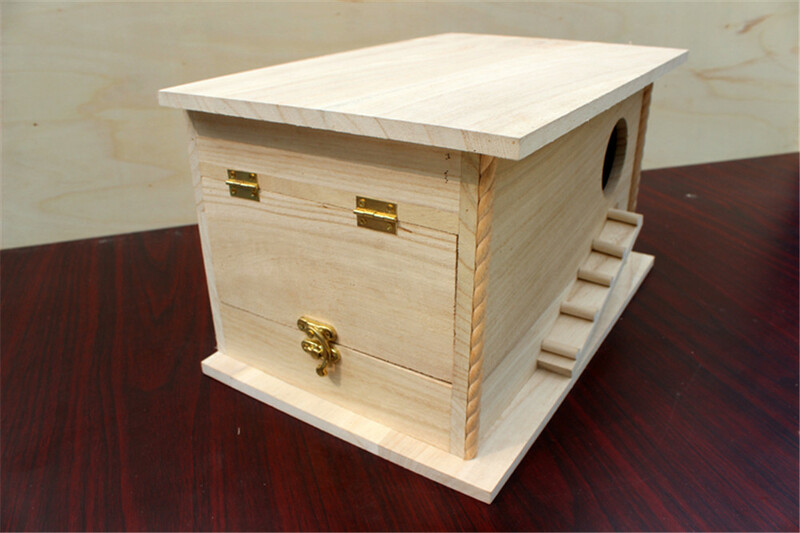 1.Our item is adopt solid wooden,it is natural,no painting and no printing.It is environmental protection. 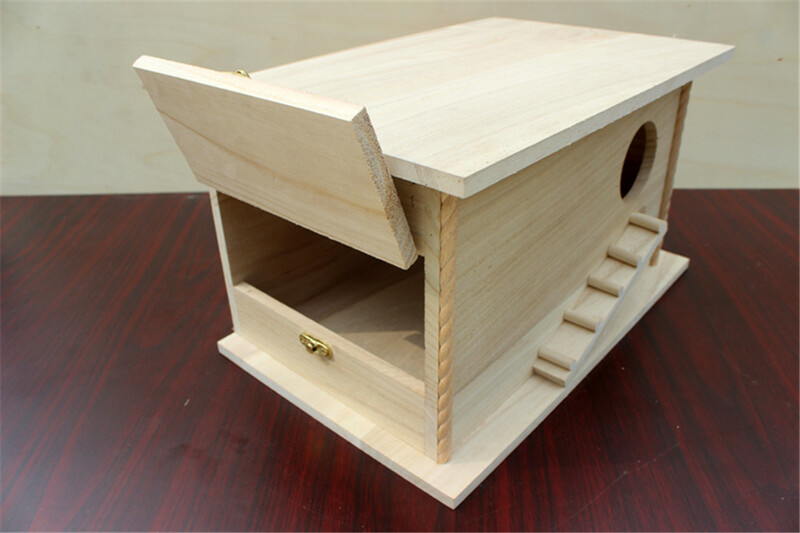 2.The size of bird home is 34*22*19.5CM,the door of it is D8cm.so any big or small bird can live.of course ,we accept any size if you need.as we are the factory,it is very easy thing for us. 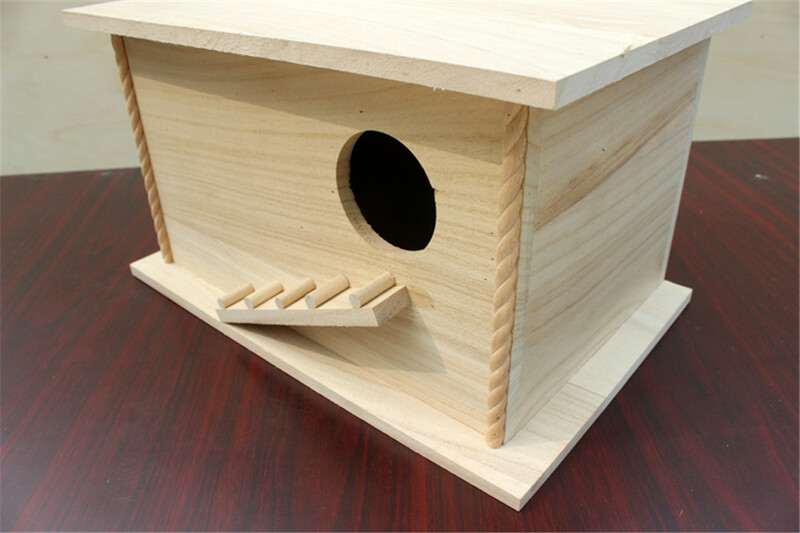 3.Maybe you have seen a big rectangle door on the side of the bird house,this design is for ample light for bird house and easy washing.Clean and healthy life environment can make your pet bird happy. 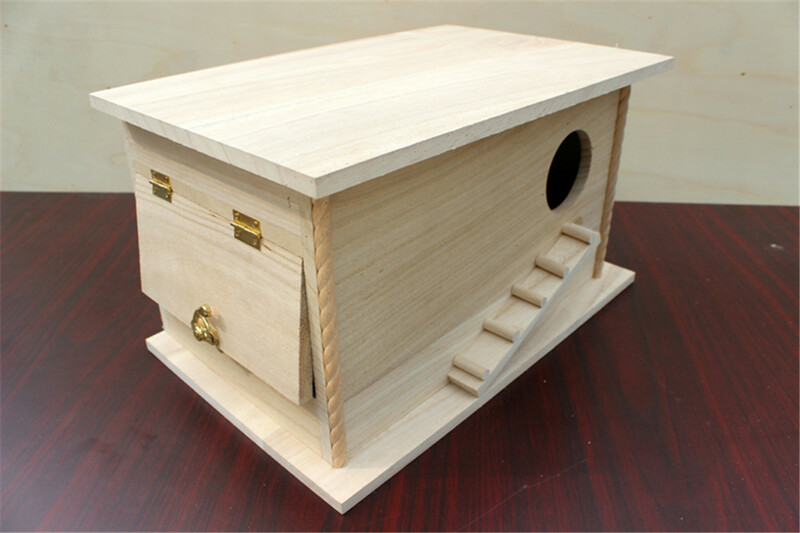 4.Of course ,the bird play is also very important.blew the house door,there is a wooden stair,the bird can go home through the stair, it is a interesting things and rectangle smooth wooden roof can supply bird a rest place,they can through sunshine on it. 5.May be you are attracted with the spiral column.it distribution the four angle of the wooden bird.1.it is for protect bird hurt,as we know the pet bird like a kid,it is very naughty.2.it is help the bird house strengthening.3.it is for unique beautiful. Looking for ideal Easy Washing Wooden Brid House Manufacturer & supplier ? We have a wide selection at great prices to help you get creative. All the Wooden Bird Home Stair are quality guaranteed. We are China Origin Factory of 8CM Wooden House Door. If you have any question, please feel free to contact us.